WHAT DOES IT ALL MEAN TO YOU? Let’s try a few names to jog your memory. Septeto Habanero and Franco Luambo Makiadi. Are the bells ringing? Maybe not a lot. What about Pepe Kalle? Now we’re getting warmer. 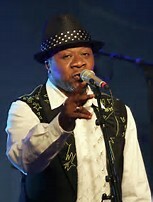 But if I say Papa Wemba then all the bells and whistles will be blaring, right? But the evolution of these music genres, with artists such as Septeto Habaneros through to Papa Wemba and beyond is pretty intensive. If we stop along the way to consider Kanindo and names such as L’Orch D.O.7 Shirati Jazz and Orch Kauma Boys then we will really be cooking. To preserve your reading stamina, I have avoided the relating of any deep biography of individual artists which are named. Instead, I have listed, at the end, quite a few meaningful names which have and often still do contribute to these musical genres. The internet will probably provide their biographies or some meaningful information of sorts if you wish to research individual artist names. The word Rumba is spelled as Rhumba in some territories. I expect that some knowledgeable readers might disagree with some details or some elements of the subject as depicted herein. Please feel free to add comment in the relevant comments section in order that we might all stand corrected. You may feel that essential parts of the story and important names have been omitted. It is not intentionally and does not suggest any lessening of the importance of some artists or events. It is merely in the interests of preserving a readable summation of the subject. For those readers who are interested in a more comprehensive, definitive history of Rumba development, please try and find the book ‘Rumba On The River’ by Gary Stewart. So where and how did it all start? It might be a bit contentious but in my view, we can perhaps start in the earlier years of the twentieth century when some party music and dance in Cuba was generally referred to as Rumba. The word itself was also adopted in many other parts of the world to describe just that, party music and dance. West and Central African nations in particular were no exception and became acquainted with Cuban Rumba through imported records during the 1940s. But Cuban Rumba actually originated from a combining of Spanish music with that brought to the Caribbean by enslaved Africans during those tragic years of slavery. The Rumba which had now been popularised in Central Africa through those imported records from Cuba was in effect beneficiated African music. It began influencing traditional, rural Congolese music styles and over time would emerge as what became known as African Rumba or Congolese Rumba. From it emerged an adapted dance style called Mambo, derived from a ‘Kongo’ word meaning ‘conversation with the gods’. But the original Mambo dance itself originated in Cuba, courtesy of a Perez Prado. depicted in the legendary African Dance Machine production. He himself had developed his musical career through his association with TPOK Jazz and then the formation of his own band called The Officers. African Rumba music was essentially quite different to Cuban Rumba music. Traditional music sounds and language dialects from the Congo Basin predominated in the African Rumba version. As such, the music was often referred to as Rumba Lingala in recognition of the widespread use of that Congolese language in its lyrics. Lingala was the trading language of the region, had no dialects and was widely spoken. Names such as Septeto Habanero, Trio Matamoros and Los Guaracheros de Oriente adopted the style and became popular on regional airwaves, helped by good, opportunist record marketing. Since the 1940s, The Congo’s Kinshasa had an abundance of recording studios, creating an advantage for local artists and the promotion of their music. And there were always the airways to carry their popularity further. Many older people will recollect the time when the night could be spent trying to fine tune radios into faint, distant broadcast signals from stations playing this music. Medium wave reception was strongest at night. But stopping the signal fading in and out was frustratingly difficult whilst any electrical storms within a thousand kilometres or more would spoil listening pleasure. Political meddling played a game-changing part in the development of African Rumba and its offshoots. During the rule of Mabuto Sese Seko in the then Zaire, he was known to enjoy African Rumba music enormously. O.K. Jazz (with Franco Luambo Makiadi) was seconded to be Mabuto’s musical mouthpiece and required to accompany him on his speaking tours. Generally, Mabuto insisted that music artists would include lyrics in their songs which complimented him on his achievements. This did not always sit very well with the artists. Some dissidence from Franco Luambo Makiadi led to his music being banned locally KOI8-Rand he was encouraged into exile, later to be invited back by a repentant Mabuto Sese Seko who claimed to be missing Franco’s music too much! 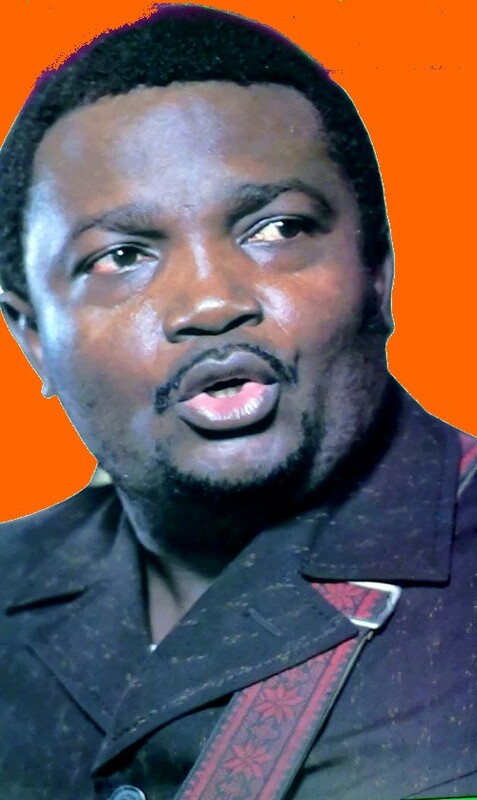 When Franco died in 1989, four days of national mourning were held in Zaire. Alas, the rot had already set in on Zaire’s economy which became all but collapsed by questionable Government socialist policies, a low world copper price and alleged Government squandering of financial resources. Ultimately, it led to an exodus of Congolese music artists as the local recording and record sales market declined. The consequences are described later in this article. East African territories also evolved a style of African Rumba called Kanindo although there is some argument as to which came first – Rumba or Kanindo. Or which of these influenced the other the most. It may be safe to say that Kenya’s Benga musical flavours were detectable in both, particularly in string instrumentation styles and sounds. Unfortunately, Kanindo’s popularity did not endure in the same way that Congolese Rumba did but during its hey-day, Kanindo was extremely popular throughout Central, Southern and sub-Saharan Africa regions. During the 1970s, Kanindo music styles also found their way into the then ‘Rhodesian’ music arena, courtesy of returning liberation-movement soldiers who had been receiving their training in East Africa. Indeed, there exists suggestion that the imported Kanindo music styles had a profound impact on the development of Sungura music in the subsequently ‘liberated’ Zimbabwe. Even the Kanindo dance style called Mujibha was adapted by the liberation-movement soldiers into Sungura dancing styles.